Guardant Healthis a leading precision oncology company focused on helping conquer cancer globally through use of its proprietary blood tests, vast data sets & advanced analytics.The Guardant Health Oncology Platform is designed to leverage our capabilities in technology, clinical development, regulatory & reimbursement to drive commercial adoption, improve patient clinical outcomes & lower healthcare costs. In pursuit of our goal to manage cancer across all stages of the disease,Guardant Healthhas launched two liquid biopsy-based tests, Guardant360 & GuardantOMNI, for advanced stage cancer patients, & is developing programs for recurrence & early detection, called Project LUNAR. Since its launch in 2014, Guardant360 has been used by more than 5,000 oncologists, over 40 biopharmaceutical companies & all 27 of the National Comprehensive Cancer Network centers. Guardant&apos;s project Omni applies cutting-edge methods in next-generation sequencing (NGS) to accelerate cancer therapy development via blood-based, non-invasive approaches. As a member of the OMNI team, you&apos;ll be involved in the design & analysis of novel NGS experiments using custom assays in order to derive both molecular & biological insights that improve test performance. You&apos;ll be responsible for documenting & integrating the results of deep-dive analyses into a high-performance computing software pipeline, run on data generated in a CLIA/CAP accredited production laboratory. As a core member of the Omni team, you&apos;ll work closely across functional groupp - including our biopharma team, laboratory scientists, software engineers, testing & quality engineers, & medical affairs personnel - providing excellent opportunities to interact with & learn from a large number of specialists. Guardant&apos;s OMNI product extends our leadership in the field of clinical liquid biopsy to enhance the success of cancer therapeutic development. The key to realizing its potential lies in the efforts of highly-motivated experts such as yourself, passionate about the potential to revolutionize the field of cancer diagnosis & treatment & saving patient lives. 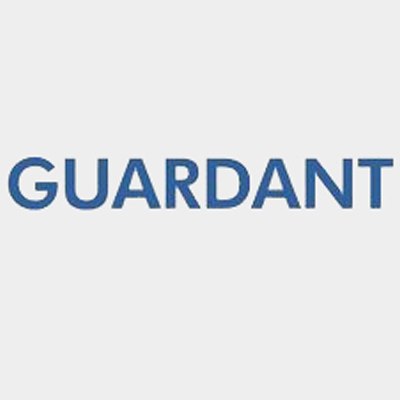 Act as the primary point of contact in terms of executing data analysis from raw to processed data using Guardant&apos;s proprietary bioinformatics pipeline in an FDA-regulated environment. Analyze large (100s to 1000s) of NGS datasets in a high-performance compute environment to distinguish true biological signals from background noise. Summarize & perform statistical analyses on analytical validation datasets in order to identify assay operational bounds & establish quality control metrics. Work with Guardant&apos;s core scientific software development group in order to contribute to existing production software based on analysis insights. Expertise in next-generation sequencing data generation & processing - from raw reads to biological insight (experience with processing workflow/pipelines a plus). Experience in experimental data analysis, statistical methods, & visualization (experience working in a regulated environment a plus). Knowledge of genomics (cancer a plus) & relevant computational tools. Proficiency in a general-purpose coding language such as Python or R, as well as working on distributed, high-performance computing Linux environments using version-controlled software (git). PhD in bioinformatics, computational biology, cancer genomics or related fields, or M.S. plus 3+ years relevant experience.